What Do the Markings On Killmonger's Skin Mean In Black Panther? 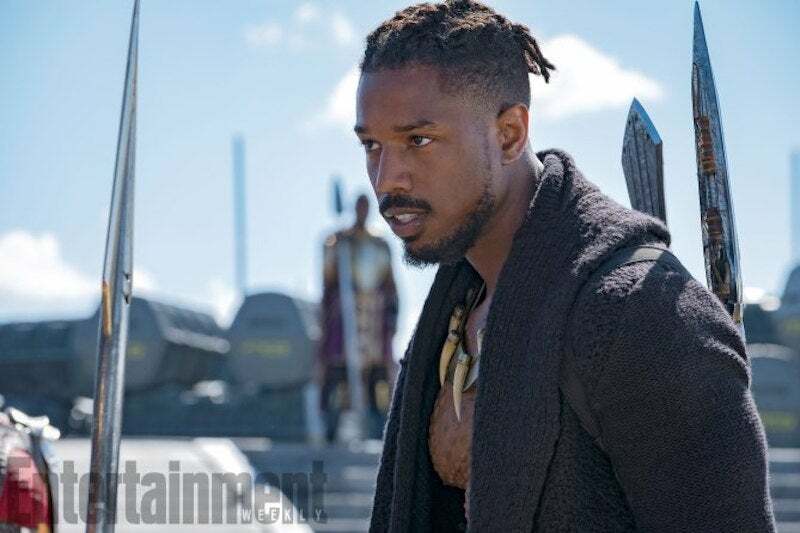 Tucked into the veritable treasure trove of new information about Black Panther that Marvel’s just unloaded in the run up to this year’s Comic-Con are a couple of interesting images of Erik Killmonger (Michael B. Jordan,) one of the film’s primary villains, that might reveal something interesting about his character. While Killmonger was featured prominently in the first Black Panther trailer, it was a bit difficult to see some of the of the more minute details that went into creating his look for the movie—particularly the ones on his skin. In a pair of new images over at Entertainment Weekly, you can clearly see that the skin beneath Killmonger’s neck is carefully dappled with patterned scarification. There are a number of African cultures spread across the continent that have traditionally used scarification and cicatrisation as a form of body art and Black Panther’s costume designer Ruth E. Carter has championed bringing as much real world African influence into the movie as possible. In Marvel’s comics, Killmonger gains enhanced strength and speed similar to the Black Panther’s by being exposed a synthetic version of the special heart-shaped herb that imbues people with royal Wakandan blood with abilities It’s possible that the Marvel Cinematic Universe’s take on the character could gain powers in a similar fashion that leaves him with the signature scarring. But Killmonger’s scars could also be a subtle nod to another comic book villain—Victor Zsasz, a member of Batman’s rogues gallery. 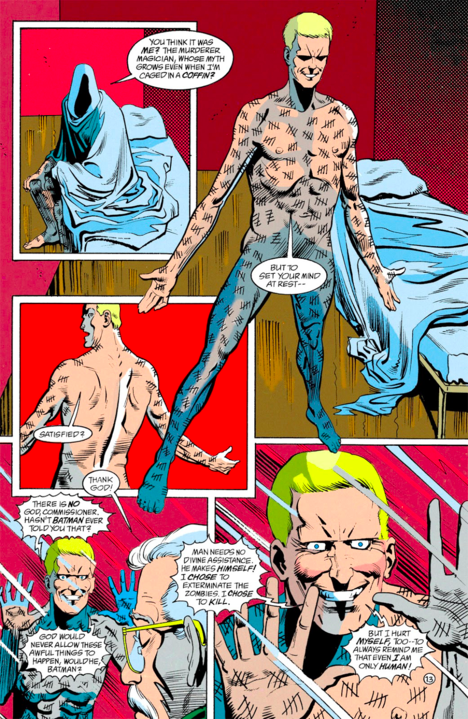 Like Killmonger, Zsasz’s body is covered in dozens of carefully carved cuts that tally the number of people that he’s murdered. To Zsasz, his murders aren’t borne out of pure desire to kill people, but rather out of a warped sense of duty to “liberate” people from their lives. In a way, Killmonger’s motivations to team up with Ulysses Klaue (Andy Serkis) to disrupt and overthrow the Wakandan monarchy come from a somewhat similar place. Speaking to EW, Chadwick Boseman described Killmonger as the “voice of a different side of Wakanda” who puts the Black Panther in a difficult political situation. Killmonger’s willingness to hurt and potentially innocent people isn’t necessarily rooted in a desire to be destructive, but to be the agent of change he thinks Wakanda needs. It’s possible then, then Killmonger might see the kills he’s named himself after not as random acts of violence, but rather, purposeful and necessary things he’s done and would choose to wear symbols of proudly on his skin.